Welcome to Smalltown USA - Royersford, Pa. Come visit this quaint 3-bedroom, 2-full-bath twin . From the comfortable front porch, enter the spacious living/dining room area, featuring 9 ceilings, ornate door moldings, and beautiful in-laid hardwood floors. Move further on to the cozy country kitchen, flanked by a large pantry and a brand new full bathroom. Off the kitchen extends a relaxing 22 x 15 low-maintenance deck, which overlooks a gently sloping, fully-fenced-in backyard, perfect for children or pets. On the second floor youll find two ample-sized bedrooms with a full hall bathroom, and a third large bedroom occupies the entire third floor. Additional upgrades include: New gas water heater (2013), security system (2013), new insulated double-pane double-hung windows throughout the home, new kitchen cabinets (2013), and a new stainless steel chimney liner and cap (2013). 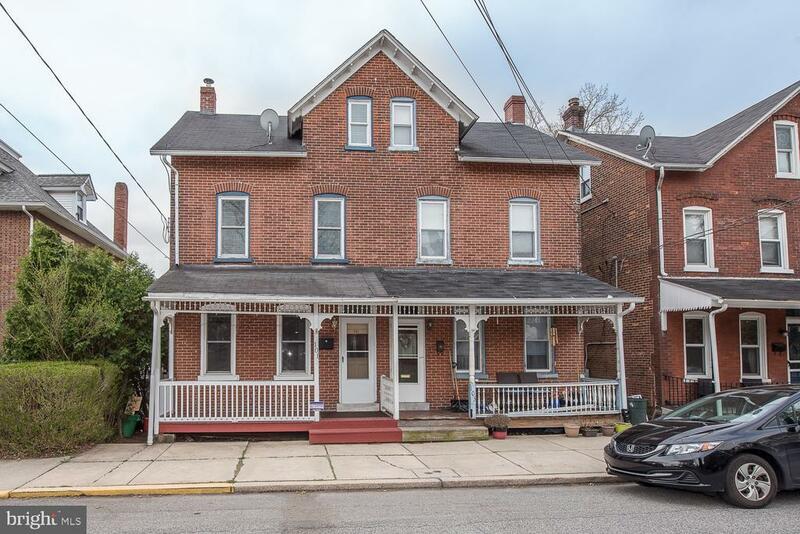 Located in the sought-after Spring Ford Area School District, this lovely home is just a short walk to the shops and eateries of downtown Royersford. Make your showing appointment today, and make this house your home. (Note: Agent is related to Seller). Directions: Rt 422 w to the Royersford Exit. Left on Township Line Rd to right on N 3rd St. Home is on the left.